OK, strictly calling it’s the Loch Indaal lighthouse, but then again it’s right next to Port Charlotte. Here it is on a changeable day on Islay, bathed in sunlight while above it dark clouds are hanging in the sky. 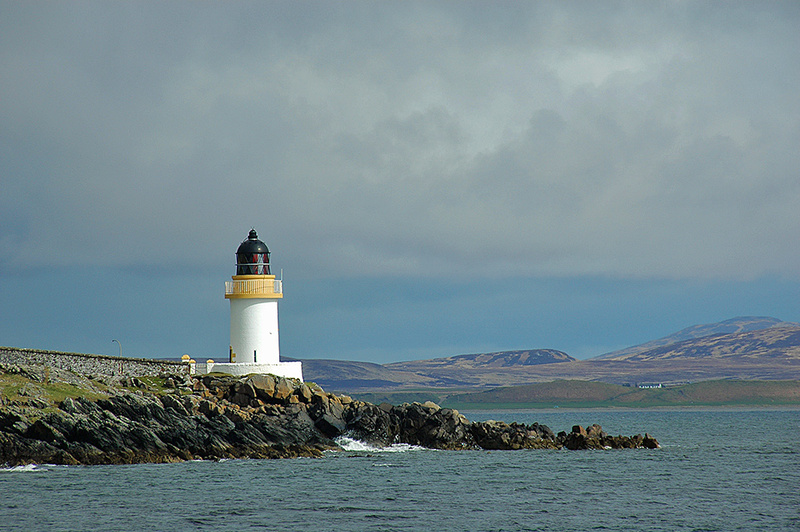 This entry was posted in Cloudy Weather, Landscape, Lighthouses, Repost, Sea Loch, Sunny Weather and tagged Islay, Loch Indaal, Port Charlotte, Rhinns of Islay by Armin Grewe. Bookmark the permalink. Oh yes very well known, especially to my brother and myself in our daily walks.